Children all over Tokyo mysteriously disappear without warning. Kotaro suspects that the Gorgom are behind the abductions and follows a suspicious-looking tour bus with children on it, only to lose its trail off a cliff. 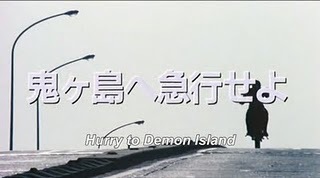 With the help of a fisherman (played by Ishinomori himself), Kotaro travels to a remote island and uses his abilities as Kamen Rider Black to save the children and foil Gorgom's latest evil scheme.